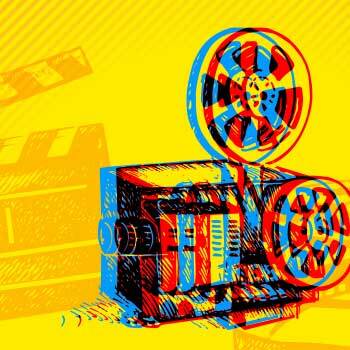 Our PhD in English and Film provides students with the unique opportunity to pursue rigorous, specialized research in either Literary Studies or Film Studies, or to take advantage of the rich intellectual and theoretical confluences between the two disciplines. These fields reflect the ground-breaking scholarship of our graduate faculty who offer courses in both traditional and emerging areas, including period studies, memory studies, masculinity studies, transnational studies, Canadian studies, and Indigenous studies. The relatively small size of our program is an immense advantage to students who can expect one-on-one mentorship from faculty with respect to their research, pedagogical training, scholarship and professionalization. Our department is proud of its students’ excellent track record as holders of external scholarship and major award. We are deeply committed not only to the academic development of our students but also to their professionalization through teaching, presentations, colloquia, research assistantships, and the practical application of new technologies to pedagogy and scholarship. Our ambitious commitment to professionalization provides solid preparation for today’s dynamic job market, and has resulted in our graduates earning tenure-track positions as well as a competitive edge in non-academic careers. A master’s degree in English, Cinema, Film Studies or a related field with a minimum A- standing. Applications are reviewed by the graduate studies committee, which considers all prior university grades, a statement of research interests, a writing sample and letters of reference.